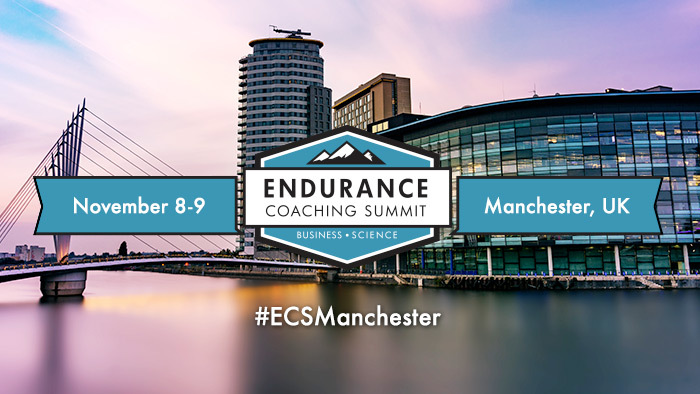 TrainingPeaks has announced the speaker line up and program agenda for the 2018 Endurance Coaching Summit (ECS), which will be held November 8 – 9 at Etihad Stadium and the Manchester Institute of Health & Performance in Manchester, UK. ECS will provide a unique blend of business and science topics for endurance coaches to expand their knowledge and learn new ways to grow as entrepreneurs in an ever-changing industry. ECS will cover the key business challenges faced by today’s coaches to give them the tools needed to grow their businesses. This year features two keynote speakers: Four-time IRONMAN world champion and world record holder Chrissie Wellington; and Vice-Rector for Research and Innovation at the University of Agder, Stephen Seiler. Wellington will be discussing the important psychological traits for finding and maintaining athletic success, and the important role of a coach in helping ride the highs and lows of competition. Seiler will dive into the hierarchy of endurance training needs and how prioritizing them will lead to better performance. More than 600 coaches from 10 countries have attended previous ECS events. The 2018 Summit will build off the same successful format including keynote presentations mixed with valuable, small breakout sessions and roundtable discussions with leaders in the endurance sports industry. Industry experts Ryan Cooper of Best Bike Split and Andy Blow of Precision Hydration will be offering insights on course profiling and hydration, and American endurance coach Taylor Thomas will be covering his recent lessons learned from expanding his coaching business. This year’s ECS also offers coaches the opportunity to gain practical insights into the latest research and science-based strategies from noted coaches like Jim Miller, Andrew Kirkland and Rob Wilby. ECS breakout sessions will be held in partnership with the Manchester Institute of Health & Performance. Their internationally renowned staff will give coaches insights on topics including cycling position, strength training for endurance cyclists, biomechanics that contribute to injury, underperformance syndrome (overtraining), the biomechanics of breathing, and how we can improve performance and endurance in the asymptomatic athlete. For more details and to register visit EnduranceCoachingSummit.com.